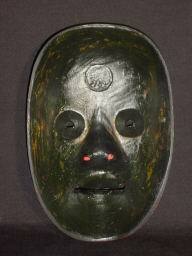 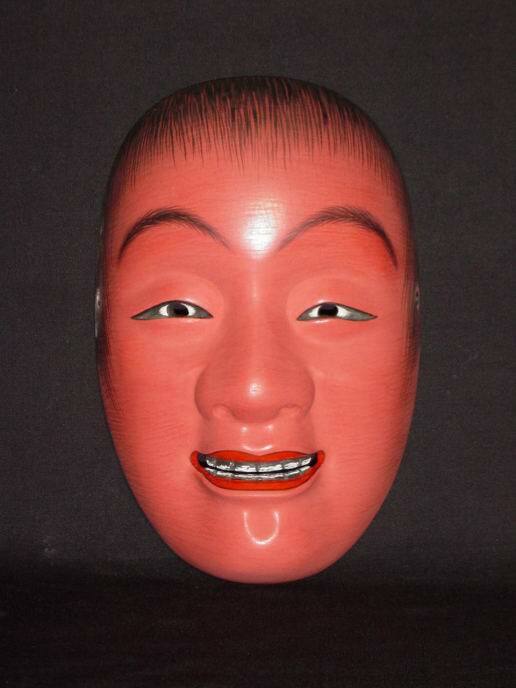 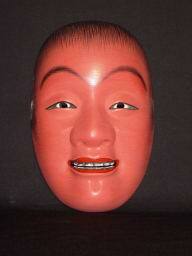 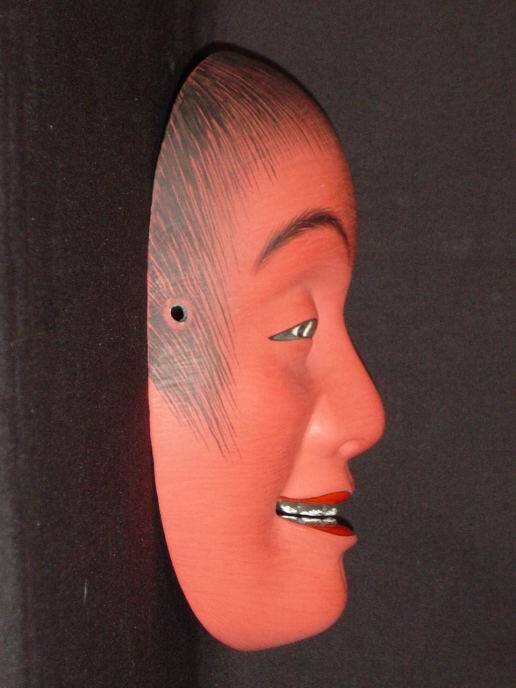 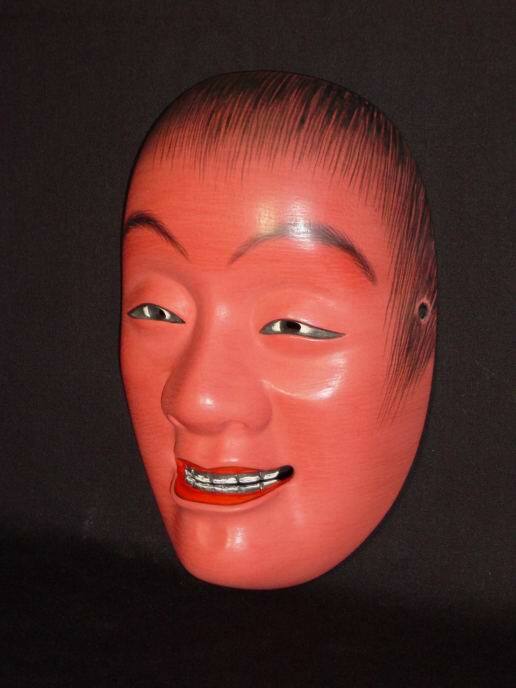 The mask with a reddish complexion, cheerful, flushed face of Shojo, the Sake-loving elf. 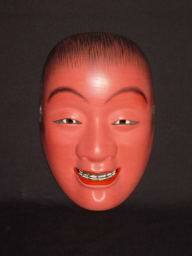 The mask shows ruddy face and a smile. 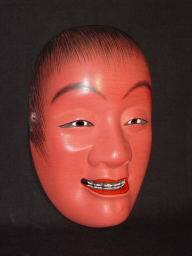 It is similar to Doji mask.